A Staffer is a volunteer for BronyCon whose obligations to the convention are not kept to the weekend of the convention itself. They work longer shifts and have work that is expected of them when the convention is not running, potentially all year. When at the convention, they may be required to work the majority of the time they are at the convention and expected to be on call when not working their shifts. In order to volunteer as staff at BronyCon, you must be 18 or older. A Staffer receives a complimentary badge for BronyCon, staff T-shirt, and the option to opt-in to staff housing at a deeply discounted rate for guaranteed space Thursday evening through Monday morning with three other staffers per hotel room. Some sweet snacks may be provided too! The Staff Suite, under the Chief of Staff, is composed of two primary locations—the Staff Suite and the Recharge Room. These are the break rooms where BronyCon staff can go to get off their feet for a short break. Staff Suite staff are the rooms moderators. We keep the room clean, make sure nothing inappropriate enters or takes place, and keep the room a friendly environment. A/V Staff work in panel rooms and Mane Event's Hall, ensuring that the sound and projectors in the room work well. Finance room is the central place for all the financial transactions and cash handling done by the convention. The ConStore stocks and sells all of the BronyCon branded merchandise in the Marketplace. Art Show staff help curate a collection of community art to be auctioned over the weekend. Marketplace attendants help our attendees in finding and purchasing from their favorite artists/vendors and also help our artists/vendors in a variety of ways. The on-call moving crew for BronyCon, Logistics members are responsible for the transport of the convention's hardware and gear to and from our offsite storage. Members will be responsible for load-in and load-out, as well as remaining on-call throughout the convention for supply runs as the need arises. Here in the Photography department we love to be in the crowds to get the most memorable shots of BronyCon and give a more personalized feel to the memories shared and captured by our cameras. Information list staffers handle email communications for the PR department. Social media staffers handle con related communications via social media sites like Twitter, Facebook, etc. Press relations staffers work directly with members of outside press and media. Charity staffers help aid in fundraising for charity throughout the convention. Marketing staff promotes the convention through advertising and partnerships. Public Outreach staff promotes the convention through Local Businesses in order to provide a better experience for con goers. 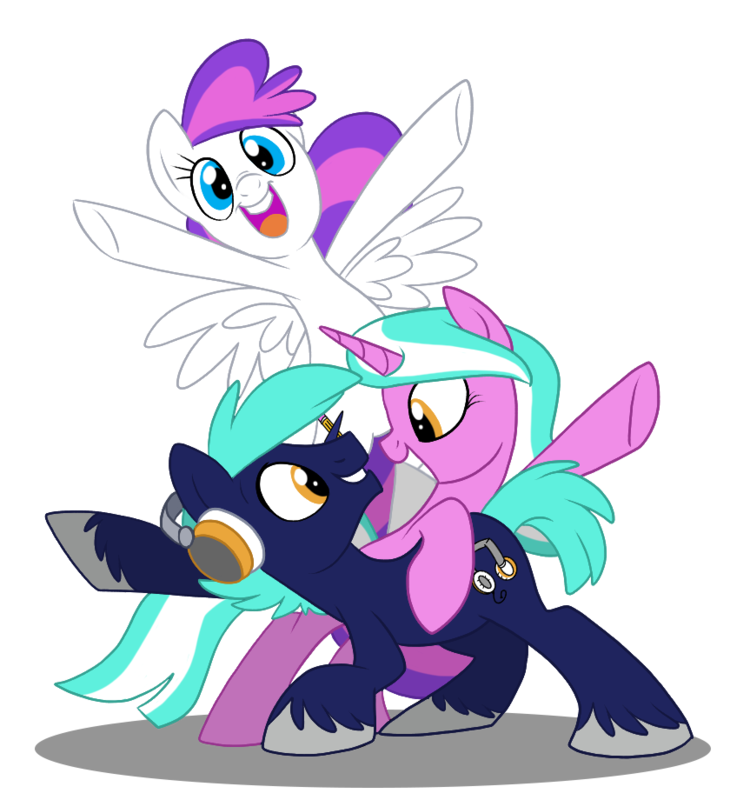 As a Registration Staffer, you will be tasked with checking attendees in, answering questions attendees may have, and making sure attendees feel prepared for their journey into BronyCon 2018. Admin is responsible for maintaining the security pen, keeping track of Security's supplies, check in and out of equipment, running op check in and out, and collecting and maintaining all paperwork. Dispatch directs information flow and communications for the department and keeps track of all the activities Security is engaged in on the floor. Line Control is responsible for managing lines for large events all around the convention. The Medical division is composed of EMTs and other certified medical staff who make sure our staff and attendees are healthy and whole by responding to medical incidents and working with EMS staff. Rules Enforcement staff roam the convention grounds, respond to incidents, look for rule violations, and help attendees. Special Events staffers are responsible for crowd control and rules enforcement inside BronyCon's largest and loudest events, like BronyPalooza and our VIP panels.